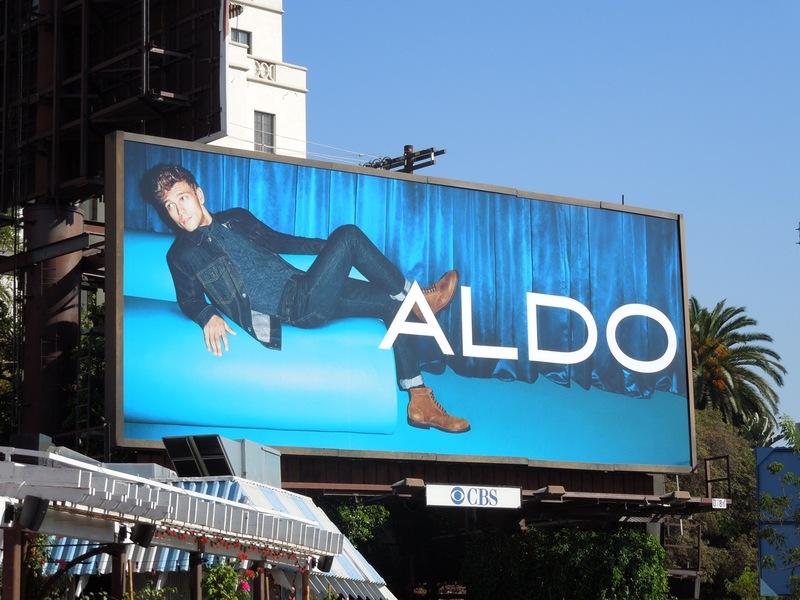 To help celebrate 40 years of the Canadian shoe and accessory brand, Aldo, Daily Billboard thought it would be nice to showcase some of their recent Fall Winter ads from around L.A. and New York City. 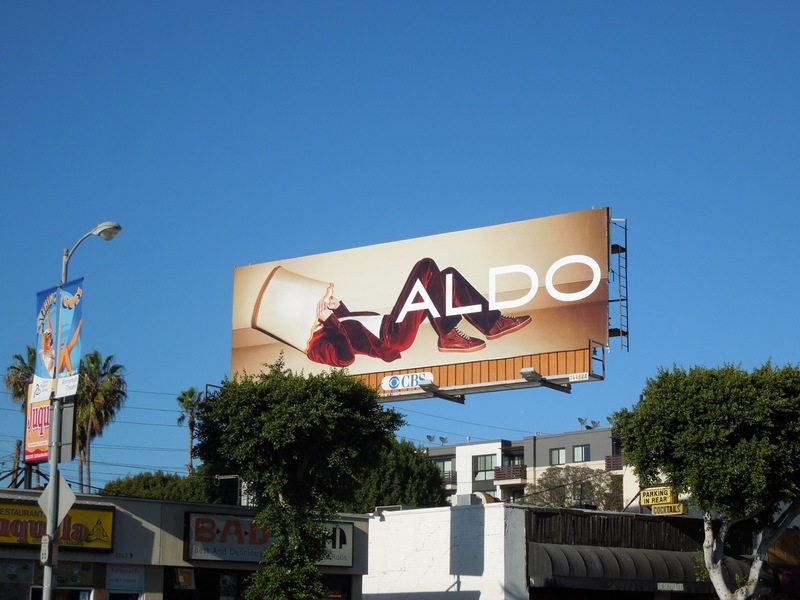 More than a few words spring to mind when you see these bold billboards, but mostly vibrant, colourful and irreverent really help sum up the recent Aldo ad campaign. 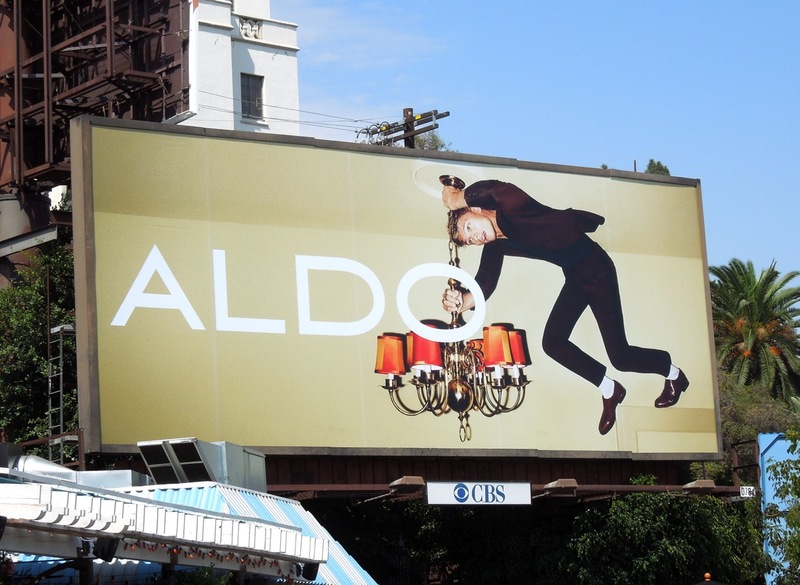 Male model Benjamin Eidem helped kick off this new round of fun creatives with this swinging from the light fixture on the ceiling billboard snapped along Sunset Boulevard on August 17, 2012, in Aldo's regular ad site beside L.A.'s famous Chateau Marmont Hotel. 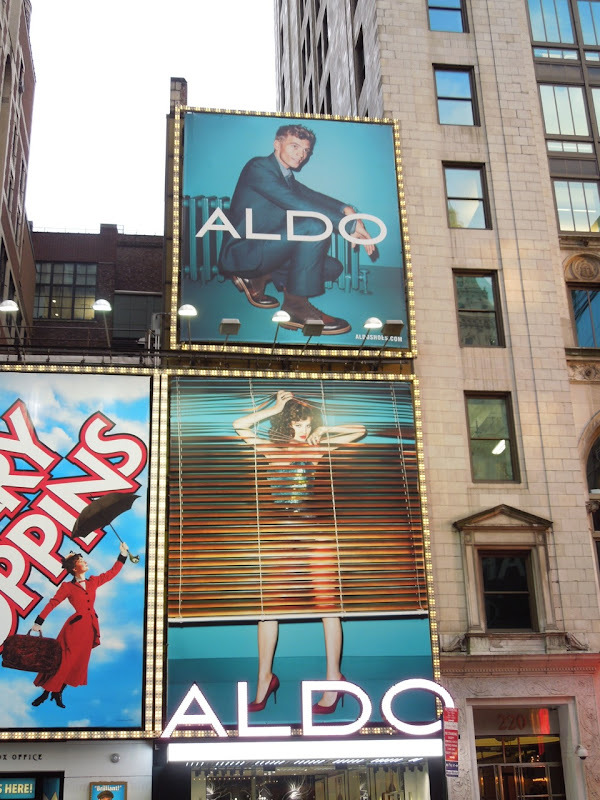 More cool creatives followed and Daily Billboard also spotted this duo of billboards above their store along West 42nd Street in New York City on August 27, 2012. 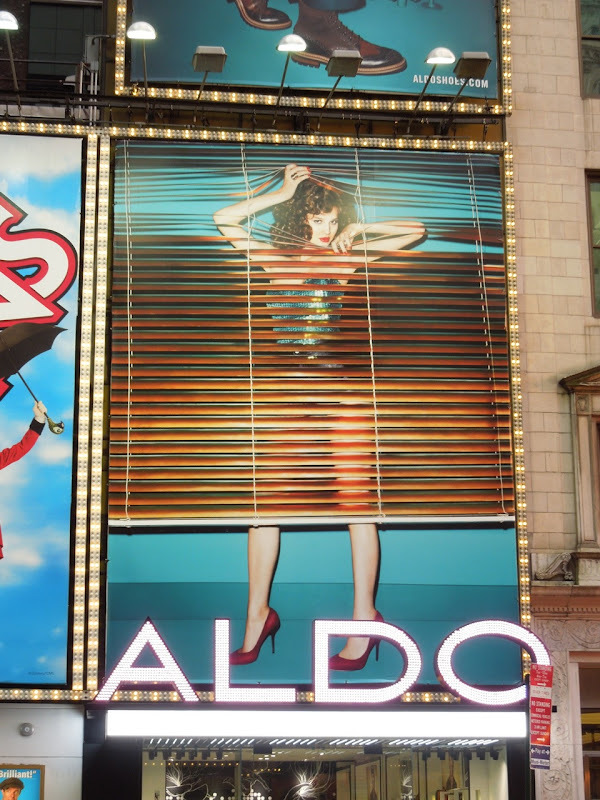 The fiery redhead teasing us from behind those venetian blinds and in the bathtub full of shoes in those red hot heels is the gorgeous Anais Pouliot. 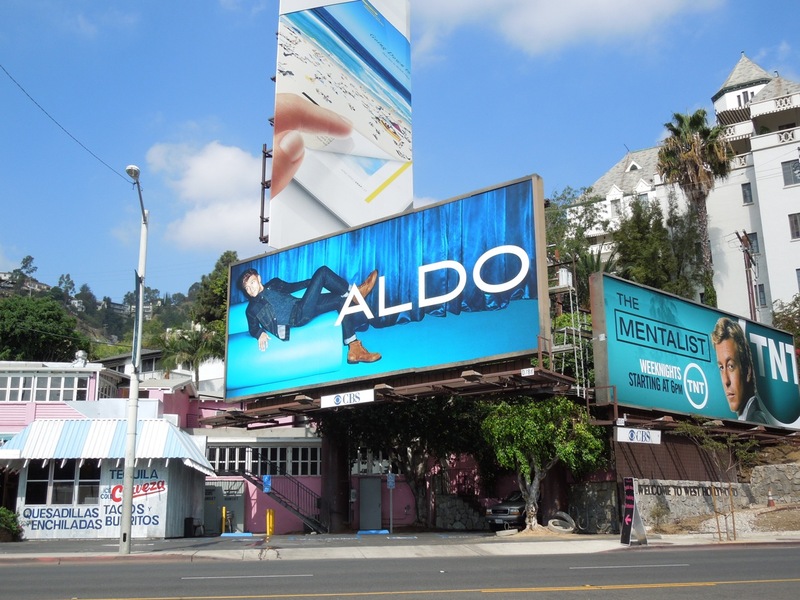 If you like these creatives, be sure to check out Aldo Shoe's Spring Summer 2012 billboards too. 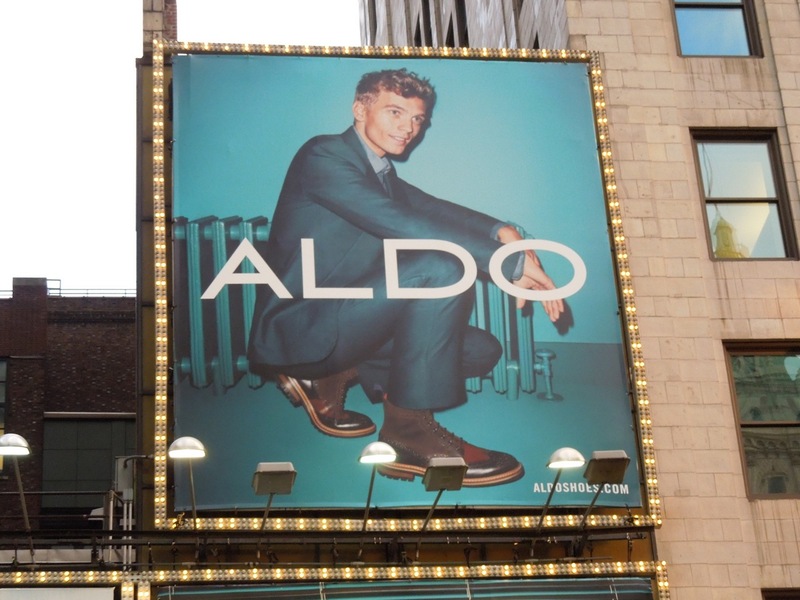 And if you're a fan of Criminal Minds, be sure to check out these Aldo billboards featuring Matthew Gray Gubler from the police procedural TV series from last Fall. 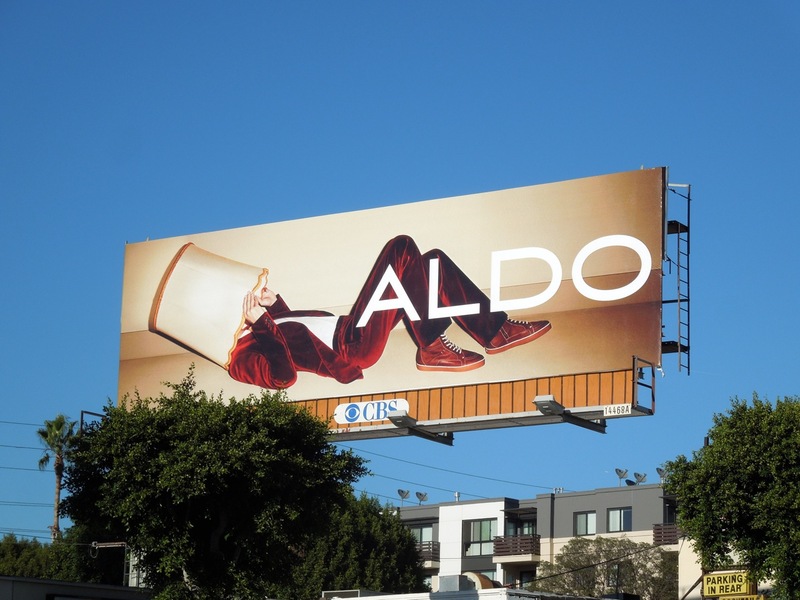 The rest of the new billboards were snapped throughout September, October and November along Sunset Boulevard, Santa Monica Boulevard and Cahuenga Boulevard, with the latest red balloon billboard photographed on November 16, 2012. 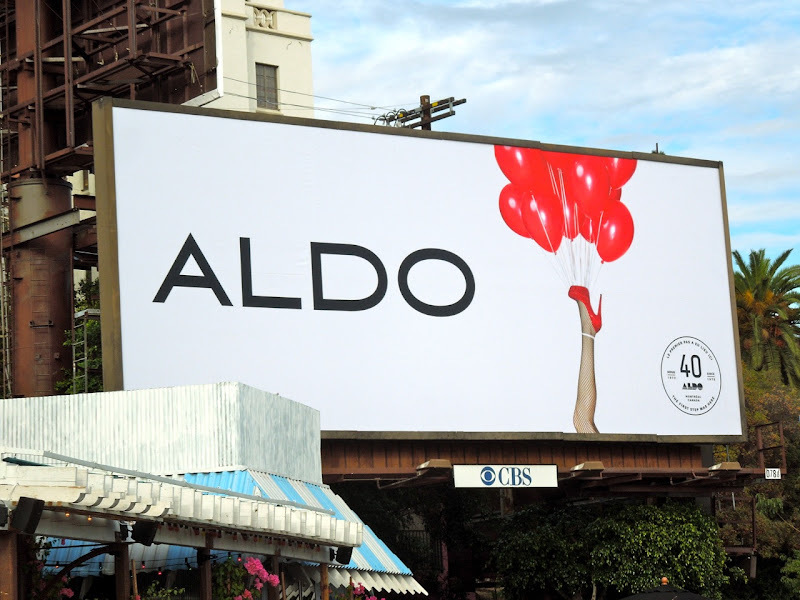 Happy anniversary Aldo and long may you make our feet look fashionable and the skies be filled with your stylish and quirky billboard creatives. 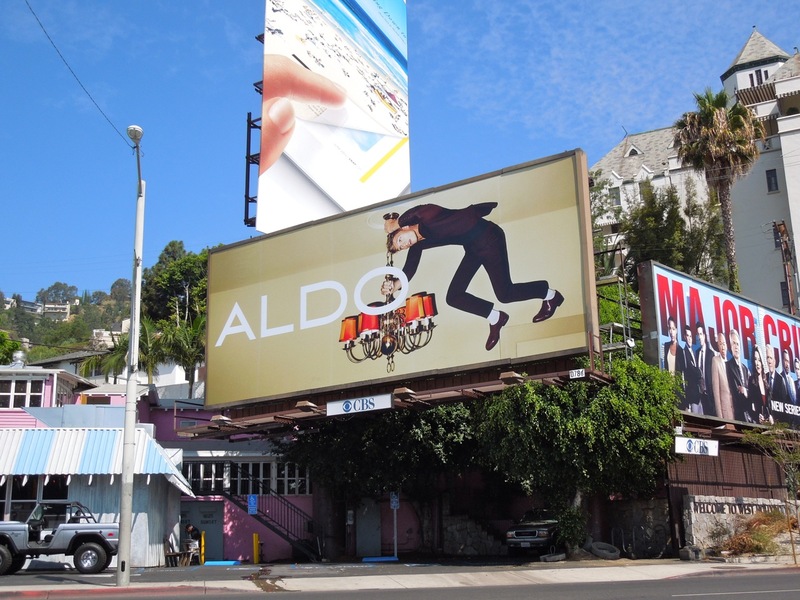 UPDATED: Here's another celebratory billboard spotted in the same Sunset Strip location on December 20, 2012. 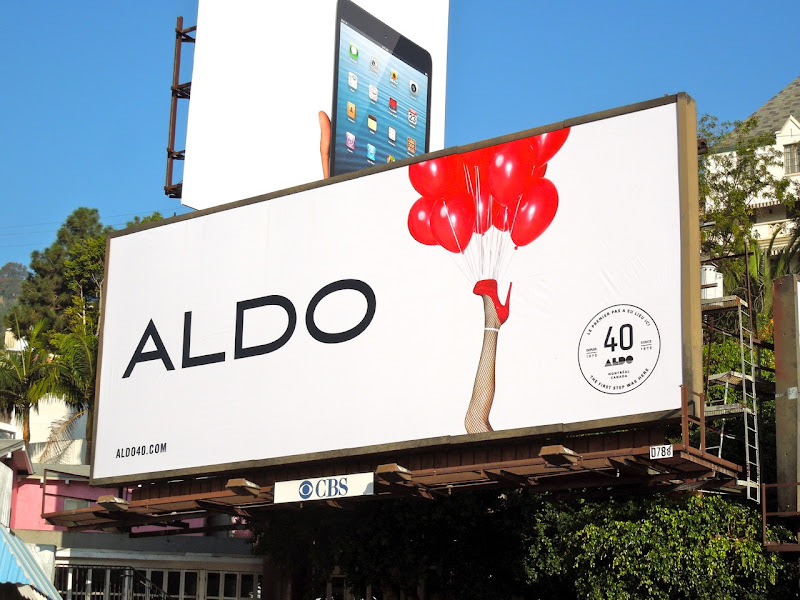 This fun ticker tape creative is the perfect billboard to ring in the New Year.